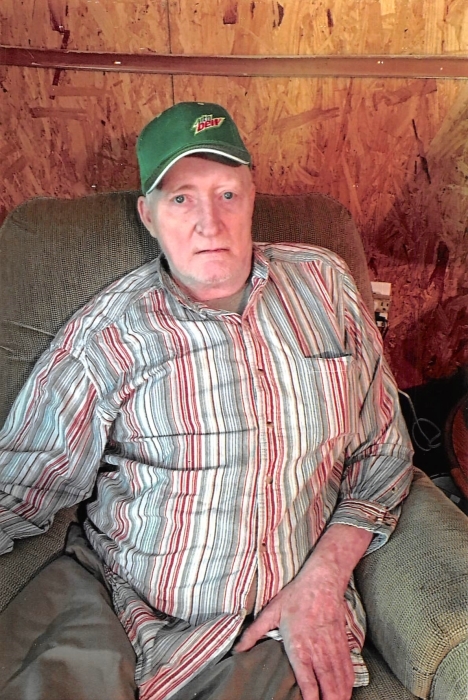 Eddie Lee Phillips, age 71 years, of Stearns, Kentucky died Thursday, April 11, 2019 at the Jean Waddle Care Center in Somerset, Kentucky. He was born in Barthell, Kentucky on May 20, 1947 the son of Schylar and Ona (Keith) Phillips. Eddie was a coal miner and logger, a member of the Hilltop Baptist Church, and enjoyed hunting and fishing. His parents; and brother, Mark Hughes precede in death. Survivors include his wife, Penny (Gregory) Phillips; son, Eddie Phillips (Megan Baird) all of Stearns; daughters, Tracy Phillips (Ricky Longmire); Buffy Clark (Kendale) both of Marshes Siding, and Jo Ann Phillips of Stearns; brother, General ray Hughes (Mona) of Winchester, Ohio; sister, Charlene Cook of Somerset; grandchildren, Nicholas Longmire, Brandon Longmire (Taylor), Jonathan Phillips; Tyler Longmire (Hannah), Courtney Clark, Kylie Clark, Doug Clark, Angel Longmire, and Harmony Baird; and great grandchild, Paisleigh Baird. Funeral services will be held Saturday, April 13, 2019 at 1pm in the McCreary County Funeral Home with Bro. David Troxell officiating. Burial to follow in the Mart Keith Cemetery. The family will receive friends after 11am Saturday at the funeral home.